Courtesy of BHHS PenFed Realty. Wait until you see this beautiful, craftsman-style home – with a walk-up basement – in Wyndham’s newest neighborhood, Ellington! Situated on a 1/2-acre, cul-de-sac lot, it’s in a prime location. Hand scraped, 7” wide hardwoods flow throughout the first floor, which features formal living & dining rooms; family room with gas fireplace flanked by a stone mantel & built-in cabinetry; open, eat-in, chef’s kitchen with large island; separate mud & laundry rooms; office with built-ins; and a powder room. Four bedrooms – including the ensuite master bedroom with sitting area — open to a second floor family room. The finished basement has a bedroom; full bath; three closets; and a large storage area. Enjoy time with family & friends on the paver patio in the beautifully landscaped, fenced back yard. Don’t miss the opportunity to make this amazing home in an award-winning school system your own! Please, send me more information on this property: MLS# 1903341 – $864,900 – 6604 Gadsby Park Terrace, Glen Allen, VA 23059. 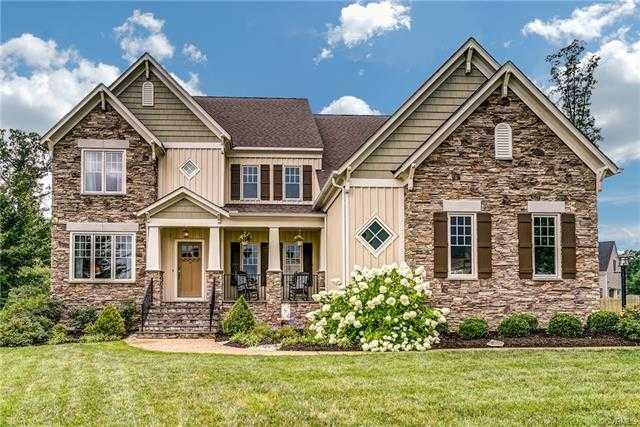 I would like to schedule a showing appointment for this property: MLS# 1903341 – $864,900 – 6604 Gadsby Park Terrace, Glen Allen, VA 23059.